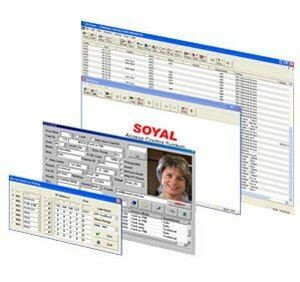 Soyal 701 is “All-In-One” software. Soyal 701 single software is sufficient support & manage full range of Soyal product series; standalone, networking, fingerprint, controller and readers regardless of how many readers and controller inside the system. -Soyal 701 software is unlimited user licensing, so no matter how many users that will be using the system, there will be no need to upgrade any licensing fees. There is also no need to spend extra money to add other software modules for additional function. -The software is user friendly enough for a simple standalone application and also flexible enough to cater the needs for big multi-controllers project. Soyal Access Control System is the clear choice for a VALUE ADDED and highly affordable solution.